Okay, Halloween is almost here and the spooky is in full force. It gets dark earlier and cool, as though a spirit has brushed past you at times. This is when I think about my experiences with the paranormal. I’ll relate one here and save some for other blogs. I remember one from shortly after my Grandmother, Mama Corey, who lived with us passed away. After going to bed I kept hearing something in the formal living room. That wasn’t a room I was welcome in most of the year (only after the Christmas tree went up) but my grandmother watched TV in there alone most of the time. Since she was deaf, she turned it up to a painful volume and the rest of the family watched TV on the other side of the house. (Yes, we had two TVs before the rest of the world, because Daddy sold them). I finally got up to find Daddy and have him look around. He did because he trusted my hearing, but he found nothing. I went back to bed and closed my eyes, but something made me open them again and there stood Mama Corey at the foot of the bed. Yes, I panicked and raced down the hall to get Daddy. Now that was one smart man. He looked right at me and said, “What’s the problem? She came in to check on you every night.” Those simple words put it all in perspective for me. I never saw her again, but I knew it would be okay if I did. She wasn’t a scary spirit, just a grandma making sure I was covered up and not cold. One more – there is a story I’m working on but have put aside for now. Why? Because whenever I wrote on it, a book would fall from one of my bookcases. Not a book that was badly balanced on an edge, or even the same bookcase. But something always fell when I was writing on it. Haven’t worked on it since moving to the condo after we downsized, but I’ll let you know if it followed me. What about you? Any unexplained phenomena happen around your house? I’d love to hear about it, so please share. Remember to check out my stories – Wraith’s Heart or Before You – for your spooky pleasure! October Rushes in to Frighten or Entertain? 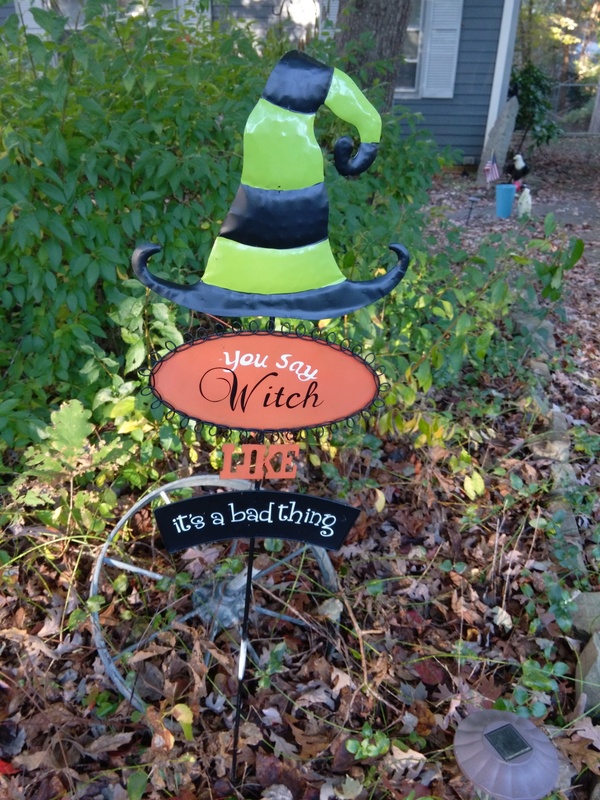 Like this sign in my yard, October is filled with crazy things that kids and candy companies look forward to. Halloween is known in the Celtic community as Samhain. My readers are often unaware of the celebration’s strong Scottish connections. With Scotland’s beautiful yet harsh landscape, haunted castles, and superstitions, it is not surprising that Halloween first took root there. 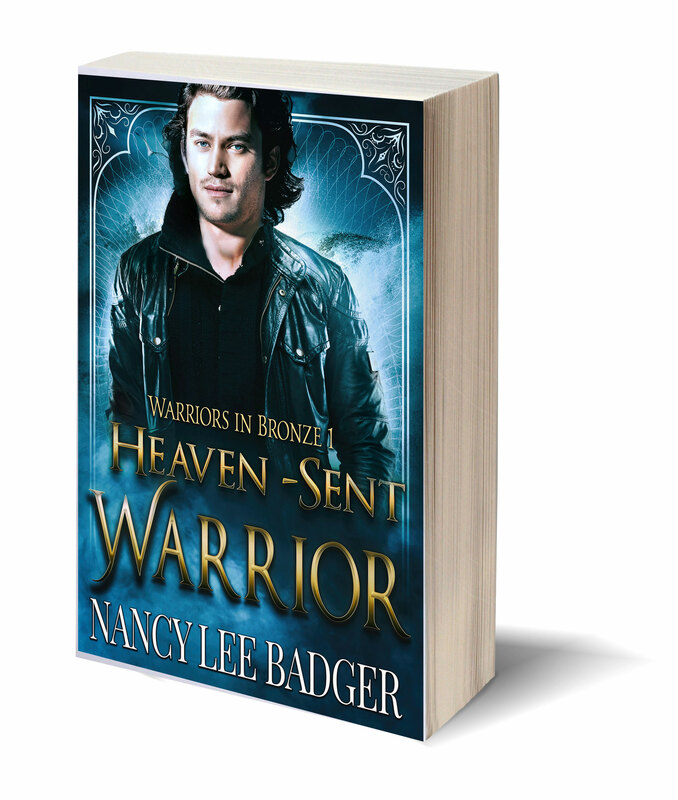 My heroine in Heaven-sent Warrior is an American of Scottish descent, but my hero is French. Halloween is not a typical French holiday, although you might find carved pumpkins at the grocery store. The French translation concerning this holiday is “des bonbons ou un sort” (candies or a spell) or even “betises oufriandises” (mischiefs or sweets).